You are here: Home / Business Growth / Why Reading The Balance Sheet Is Important For Your Small Business! Why Reading The Balance Sheet Is Important For Your Small Business! The balance sheet is one of the most important financial documents that all institutions ask for, in order to understand the eligibility of a small business for availing financial assistance. 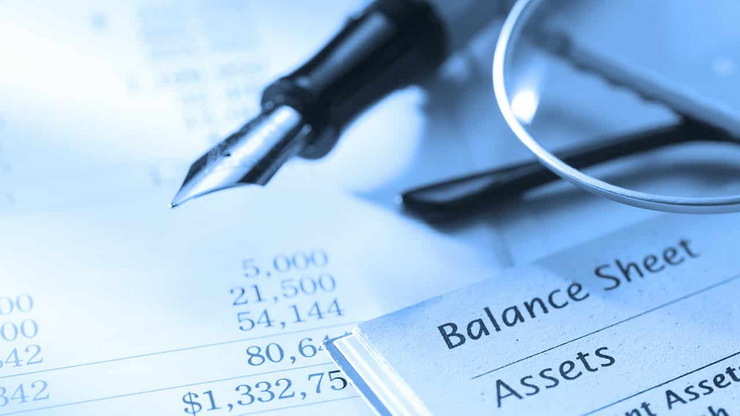 A balance sheet is the statement of the financial condition of a business and reports the assets and liabilities of a business at a given point in time. In simpler words, it is almost like a blueprint of a business’s financial health on any given day. Why A Small Business Owner Should Be Able to Read The Balance Sheet! The balance sheet comprises of two sides – Assets and Liabilities (including the Capital and Reserves) – and the totals on both should be equal. This is because, a balance sheet is prepared using the ‘double entry system’ of accounting, which serves as a kind of error-detection system. Let’s understand the components in detail, and why it is important to be able to read them accurately. There are two kinds of assets: non-current assets and current assets. Non-current assets are long-term assets which will not be realized/settled/ consumed within a year. For example, fixed assets like land, buildings, machinery, furniture etc and intangible assets like goodwill, brands, trademarks, copyrights, and patents etc. Non-current assets provide information about the ability of a business to generate cash flows. Current assets are likely to be used up or converted into cash within a year. Receivables, inventories and cash are important current assets. Receivables are outstanding (uncollected amount). The quicker a business gets its customers to make the payments, the sooner it has the cash to pay salaries and other expenses. Inventories are stock of products that have not yet been sold. To generate cash, you must sell the goods that you have purchased from suppliers. If the inventory grows faster than sales, it is a sign of deteriorating fundamentals. Enough cash balance is the most important part of the balance sheet that attracts investors. There are current and non-current liabilities. A liability can be classified as current if it is expected to settle within a year. For example, loans repayable on demand, bank overdrafts, cash credits, sundry creditors (obligations to a supplier), bills payable, outstanding expenses, outstanding tax obligation etc. Non-current liabilities, meanwhile, represent what the company owes like debentures, bonds and any other kind of loan which will not be repaid within a year. While comparing with the previous year’s balance sheet, if borrowing levels are falling, that is a good sign and if enterprises have more assets than liabilities, it again indicates that the company is in good shape. Having too much debt in balance sheet relative to cash flows required to pay for interest and debt repayments is one way enterprises can go bankrupt. Capital is funds invested in a business by the owner of the business. It will be shown as a liability of business towards the owners of the business. Reserves and surplus can be defined as accumulated profits of the enterprises, for example, the balance of profit & loss account, general reserve, and other capital & revenue reserves. A business cannot be run without an underlying investment, that is capital. Reserves are usually referred to as ‘rainy-day funds’, to be used in case of contingencies. As a small business owner, being able to read the balance sheet keeps you informed about the financial health of your business. If you are looking for funds to expand your small business, get in touch with Gromor today!